The high levels of solar transmission across the light spectrum mean plants can grow effectively whilst still being sheltered from the outside world. Insulation offered by the multi-layered system means that heat can be trapped within the space to assist in the creation of a tropical climate. 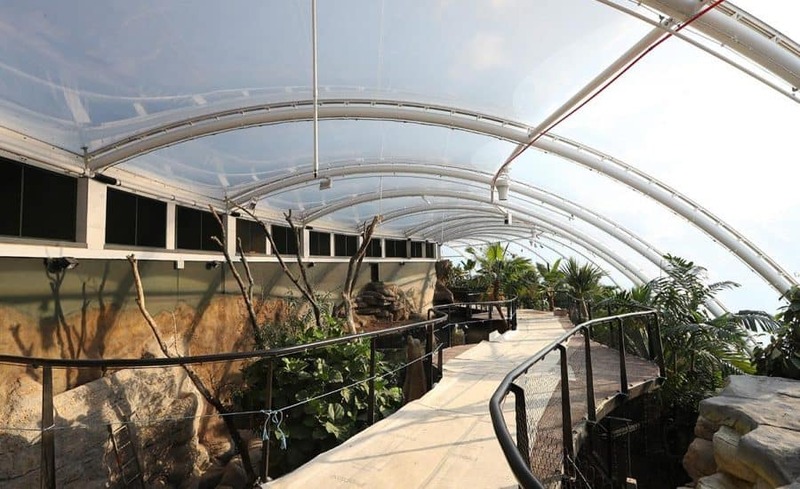 The inert qualities of ETFE foil mean that even in humid environments (both natural and man-made) the material remains unaffected both visually and structurally. 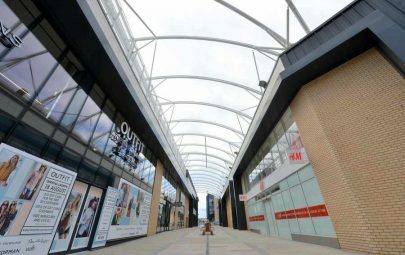 Working from an outline design by David Dexter Engineers, Architen Landrell were appointed to design, engineer, manufacture and install the ETFE cushion roof system and supporting steel structure. 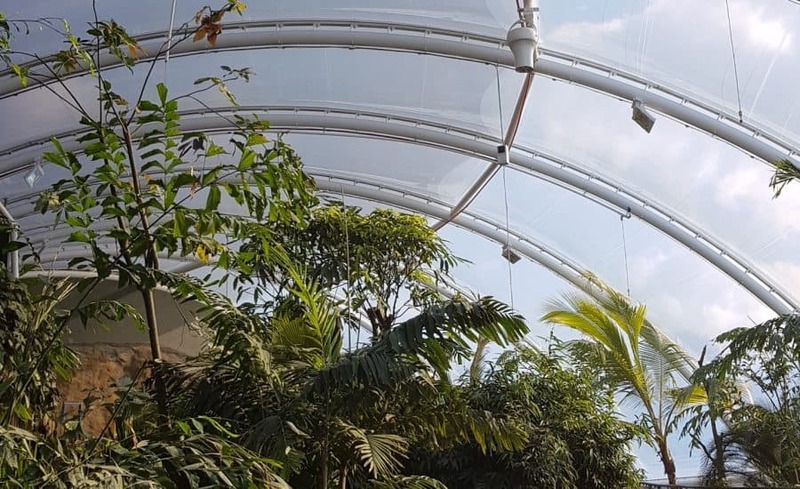 But this was no ordinary ETFE cushion roof; whilst the Tropical House provides a living environment of over 650 plants, it’s also home to frogs, birds and even a few sloths – not our usual clients! The roof is made up of 17no. 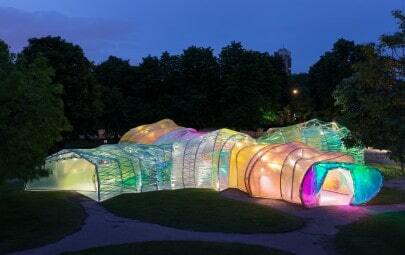 3-layer ETFE foil cushions and covers just under 1,000sqm forming an ‘S’ shape in plan. 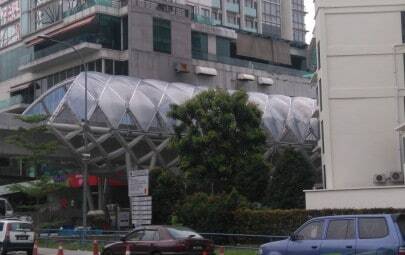 No two ETFE cushions are quite the same which mean careful planning was needed during the design phase and accurate patterning of the ETFE foil was essential in ensuring a smooth finish to the membrane roof. 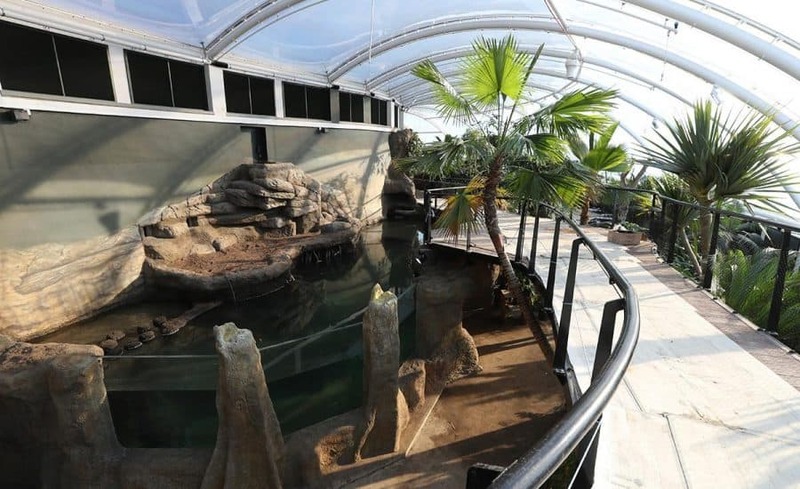 Clever environmental design, use of recyclable materials and the use of renewable energy was very important to Marwell Zoo and to the team at Architen Landrell. 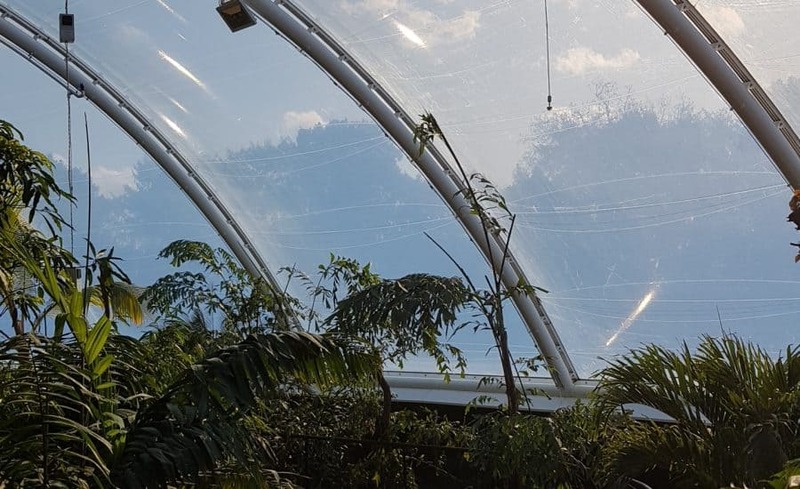 Working closely with the client and their design team, the ETFE cushion roof was designed to include a guttering system which collects rainwater to be re-used for irrigating the plant life. 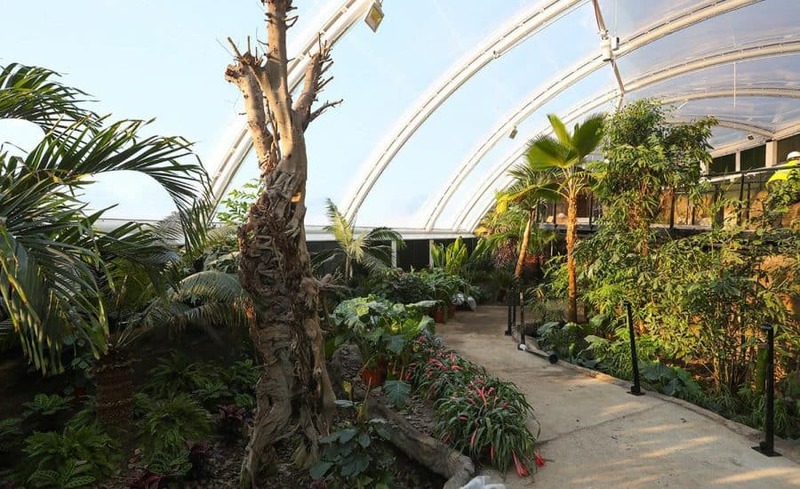 Keen to make the space comfortable for visitors as well as for the plants and animals, it was important that both heat and light levels would not get too high. Using a bespoke fritting (printing) pattern on the ETFE foil, each cushion has dual levels of light transmission; letting in a higher amount of light on the vertical face than on the horizontal portion of the ETFE cushion. It was a pleasure to work with Drew Construction and David Dexter Engineers on this truly innovative design and we look forward to designing and building our next animal home!